In a move that may have passed many by last week, Vodafone Essar (the giant telecom’s Indian arm) withdrew a legal notice against a customer who had criticised Vodafone’s services on Facebook. 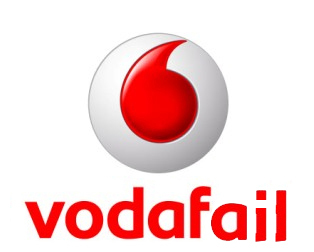 Vodafone had claimed that the customer had made false and defamatory statements about them on social media sites and were seeking to protect their reputation. However, in a significant move, they decide to withdraw the notice claiming that “Vodafone Essar states that the legal notice served to the customer has been withdrawn in good faith. Vodafone Essar would also like to take this opportunity to inform that as a customer obsessed organisation, we have always welcomed critical feedback and suggestions from both direct and social media customers as it helps us to constantly improve ourselves to serve their discerning needs,” a spokesperson said. But this wasn’t enough to persuade the customer who said “So finally, Vodafone relents. After two long meetings and several calls and SMS and emails with over two weeks one of their very senior management person sent me a mail today early morning stating that they have in “good faith” decided to withdraw the legal notice. Whether he does or not is another issue. but again this is surely an example of a global brand struggling to face up to the new world of consumer power. Unless his comments were indeed libelous, surely Vodafone could have handled this better – on a human scale. Again a reputation suffers as a result of clumsy mismanagement of a sitaution that is surely to become more and more familiar in the future. The lesson – be human, be fast, be outstanding.